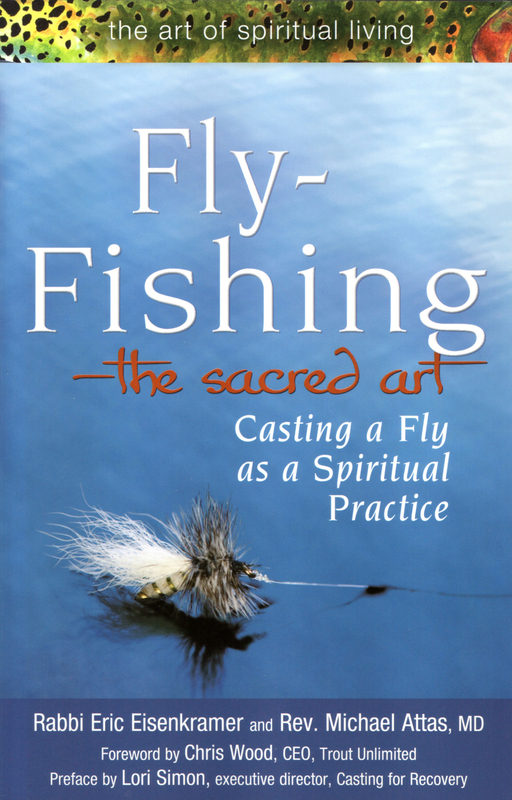 Fly-Fishing: The Sacred Art — Casting a Fly as a Spiritual Practice (Skylight Paths; $16.99) by Rabbi Eric Eisenkramer and Reverend Michael Attas, MD, as its subtitle suggests, posits the not-surprising theory that fly fishing can often be a deep, spiritual pursuit. It promotes fly fishing as an ideal pastime that supports reflection and nurtures one’s inner self, a vital task that many of us all-too-frequently ignore. This is especially true today, when the outside world can be a daunting, overpowering, assaulting place. This brief book was a pleasure to read, and though I expected to, I never felt harangued by the curious rabbi-and-reverend writing tag-team. Instead, the book’s tone is light, personal and friendly, its lessons not disguised. It’s as if the reader is spending time with an older, wiser fishing uncle telling streamside stories and offering helpful advice. Fly-Fishing: The Sacred Art is also filled with practical information in chapters ranging from learning about the sport to gear, technique, fly-tying, stewardship, conservation and more. And each section wraps up with light exercises and questions for further reflection. At times the book is spiritual in tone but always secular enough that I can’t imagine anyone being put off by it. Nor can I imagine anyone remotely interested in fly fishing not coming away from reading this book being a more thoughtful person — and a better fly fisher. Fly Fishing Yellowstone National Park chooses 50 of the likeliest hotspots, not all easily accessible (plenty of those, too, though), and offers thoughtful and well-seasoned suggestions on important hatches and patterns, likely techniques to produce optimal results, and the best times of year to fish those spots. Those hot locations will give fly fishers a chance at Yellowstone cutthroat, westslope cutthroat, Snake River finespotted cutthroat, grayling, rainbow, brown, brook mountain whitefish, and Mackinaw lake trout. 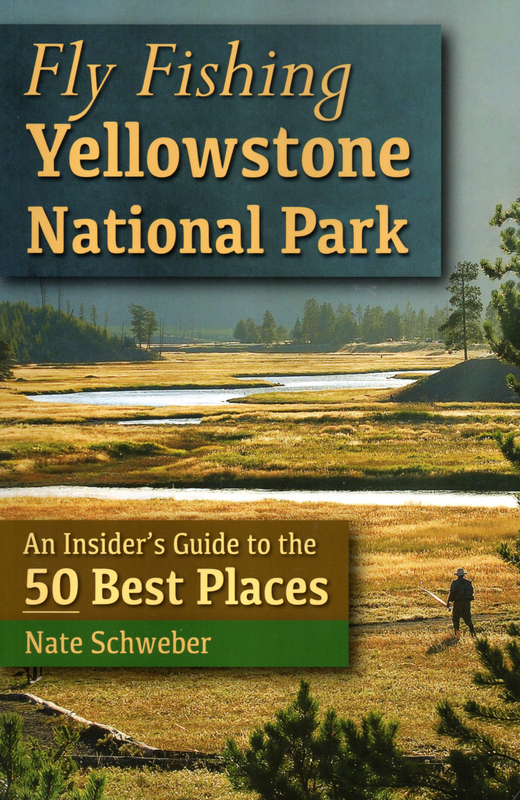 The book also includes a number of interviews with Yellowstone-area veterans including fly shop owners, wildlife writers and guides, whose sage words are equal parts humorous and insightful. No doubt book racks and fly shops all over the West will continue to receive numerous well-intentioned and frequently useful guidebooks about fishing various spots in and around YNP. But I suspect that Fly Fishing Yellowstone National Park will come to be regarded as a required reference. Not only because it’s jam-packed with indispensible material, but it’s a darn good read, too. 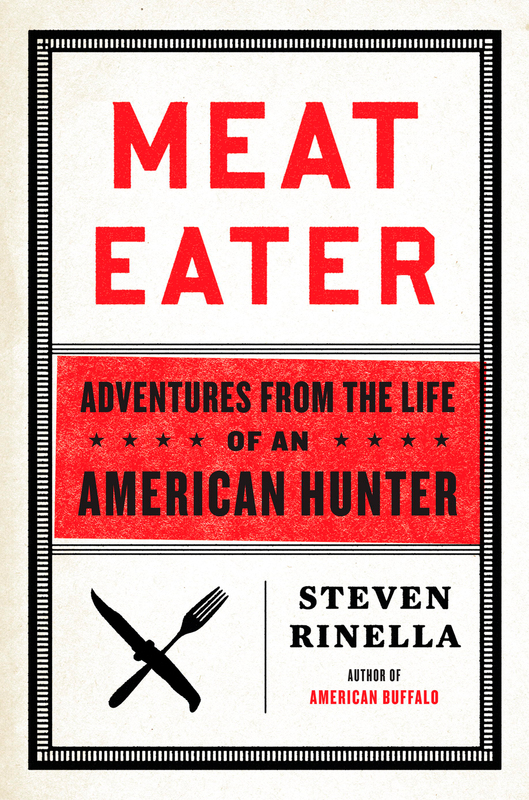 Meat Eater: Adventures From the Life of an American Hunter (Spiegel & Grau; $26), by Steven Rinella, is a memoir of the author’s lifelong pursuit of stalking wild beasts, fur, fin and foul, and the resultant ecological and social implications. He grapples with his weighty subject matter, exploring the finer points of the ethics and morality therein, from the personal to the universal. Rinella is not apologetic for missteps in his youth, but traces his personal journey as one of an honest man doing his best to discover just what it means to be a responsible steward, a giving and taking member of the wild world on planet Earth. Some of my favorite sections in the book follow the chapters: The “Tasting Notes” sidebars that are part food prep/cooking instruction, part sub-memoir, part practical advice. They are topped-up with tips the author has gathered from his experiences jerking meat, rendering bear fat, or justifying a hunting cabin’s expense by how good king salmon fillets are when caught and cooked there. Rinella speaks, on page 147, of a bonefishing trip he and his brother took to Mexico’s Yucatan Peninsula, and the curious state of mind (and being) they found themselves in, at once being reduced to a primal sustenance-seeking state (“ … Barefoot and bare-chested, frying filets of fish in a pan over the stove … two filthy-haired boys by a fire with fish bones and coconut husks scattered about … ”), yet all in the name of pursuing a fish purely for fun, catching others for eating but releasing all bonefish. The author views this as “slightly sadistic: using a certain species of fish as a plaything, as though it were some type of living golf ball. While I tried hard to put the irony and absurdity of our situation out of my head, I found it hard to do.” Later in the trip, he finally realizes that he was “struck suddenly by how arbitrary it all seemed. I couldn’t help but imagine myself trying to explain this conundrum to some ancient hunter-gatherer who had been transported from the past into our modern and confused world.” So he cooked the fish and ate it. To say that the author, Steven Rinella, is hugely passionate and knowledgeable about his subject matter is an understatement. As a reader interested in man’s interactions with the greater natural world, I found Rinella’s outlook refreshing and exciting. For anyone interested in a serious, gut-punch exploration of how we feed ourselves, and how we will soon come to feed ourselves, Meat Eater is required reading. Its Head Came Off by Accident (TwoDot; $14.95), by Muffy Mead-Ferro, is an intimate, no-nonsense memoir of the events, places, people, and a way of life that helped shape the woman the author would become. Muffy and her brothers grew up on working ranchland under the hands-off tutelage of their busy parents. 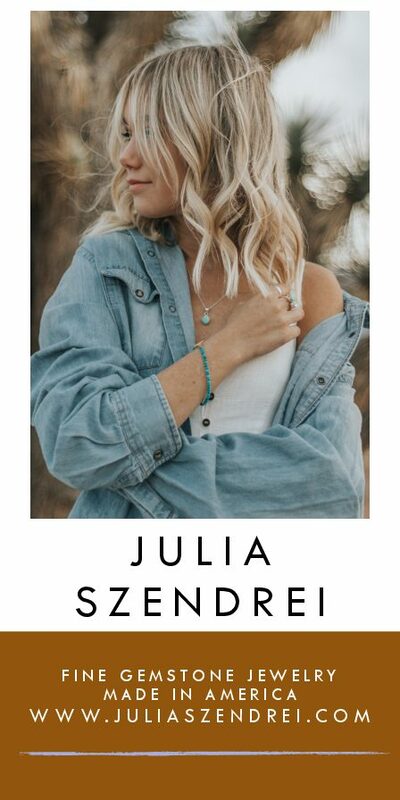 “Initially cobbled together by my great-grandfather on Mary’s side, my family’s ranches in Jackson Hole, with the Grand Tetons as a backdrop, were literally the stuff of postcards and paintings. The landscape wasn’t just beautiful, however; with its natural attributes it was a good place to raise cattle.” That blend of pragmatism in the face of stunning beauty is a dominant theme throughout the book. 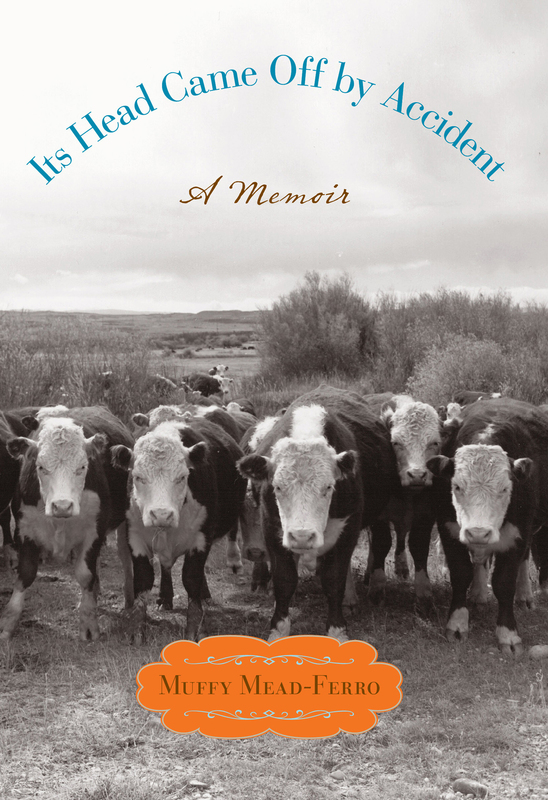 There’s also a refreshing lack of the handwringing and angst often found in memoirs. For all of its weighty themes, the book is also filled with moments of levity and refreshing childhood discoveries, of exploration and revelation. The episode from which the book draws its name is a genuine hoot, and one that farm- and ranch-raised folk will smile knowingly over. And it is the author’s playful, comfortable voice, and her unvarnished exploration of how she was raised, of her mother’s accidental death, and of her own foibles and successes that make the book a compelling read. It’s also a fine probing of how the things in life we often regard as sacrosanct will often up-and-change on us, of how in accepting such unstoppable alterations, we become stronger. 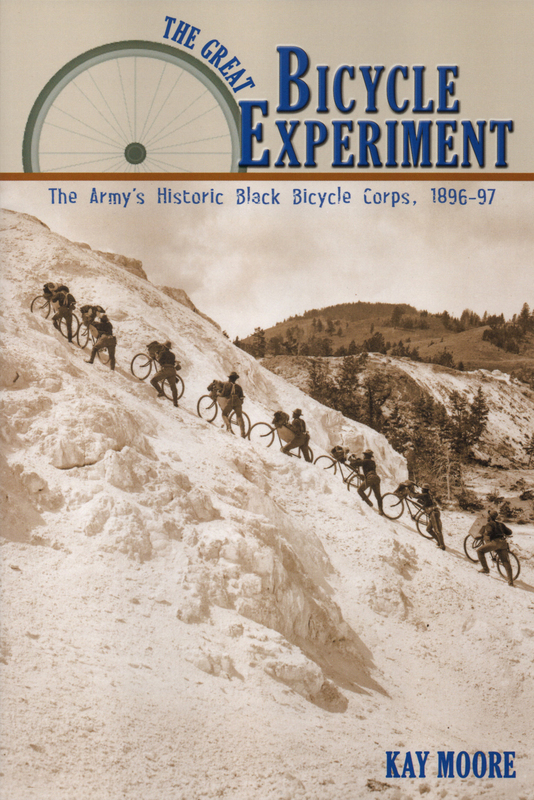 The Great Bicycle Experiment: The Army’s Historic Black Bicycle Corps, 1896-97(Mountain Press; $12), by Kay Moore: Who would guess that in 1896, the humble, still-new innovation known as the bicycle, regarded at best as a curiosity for wealthy urbanites to fiddle with in their leisure time at the park, could be seriously considered for use by the army to move soldiers overland more cheaply than with horses? Second Lieutenant James Moss, at Fort Missoula, Mont., proposed that very thing. General Nelson A. Miles, having seen a display of the virtues of bicycling some years earlier in New York City, had predicted: “The bicycle will in the future prove to be a most valuable auxiliary in military operations.” So when Moss’s proposal slid across his desk, Miles endorsed it wholeheartedly — though with no army funding. Undaunted, Moss drummed up sponsorship by the Spalding Bicycle Company, and soon had soldiers volunteering for rigorous training and grueling expeditions to prove the bicycle’s worth to the U.S. Army. And it is those soldiers who are the real story in this book. Fort Missoula’s 25th Infantry was made up of black soldiers, so-called “buffalo soldiers,” because their curly dark hair reminded the Indians of buffalo fur, a name intended as a sign of respect as the buffalo was a revered animal. The book details the incredible physical challenges overcome by these remarkable soldiers. It also told of their final culminating expedition — 1,900 miles from Missoula, Mont., to St. Louis, Mo., on bicycles through all manner of terrain. The 25th succeeded in proving that the bicycle could be an impressive and cost-saving addition to the army. Unfortunately, the Spanish-American War put an end to the promising venture. Kay Moore’s 86-page book is labeled as “juvenile nonfiction,” but it’s a read anyone with an interest in U.S. military history or Westward Expansion will find fascinating. The language is engaging, the research is solid, the bibliography thorough, and the supporting materials — numerous period photographs and actual newspaper clippings — alone are worth the price and time spent. Readers will come away from the book with great respect for a little-known group of soldiers, the 25th Infantry’s Bicycle Corps, who deserve more recognition. Moore’s fine book should help bring it to them. 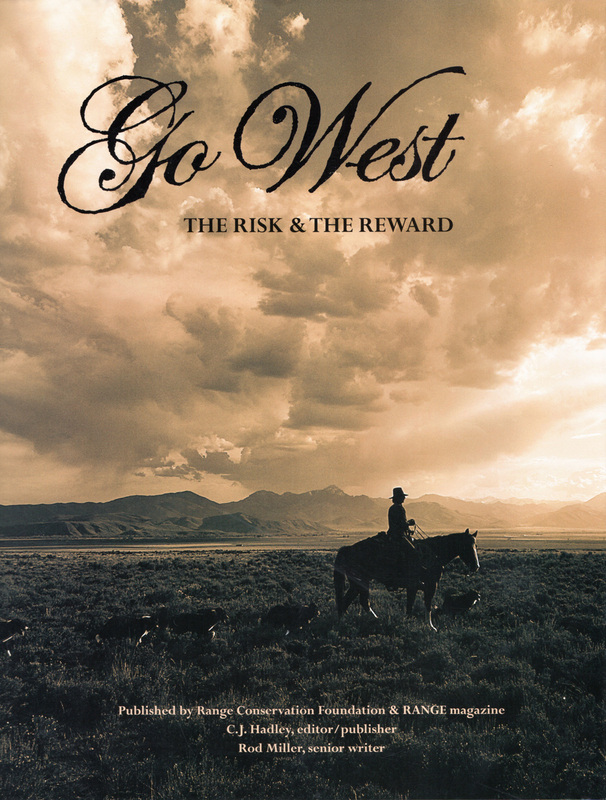 Go West: The Risk & The Reward (Range Conservation Foundation; $32) is a visually sumptuous, unabashed celebration of what was and is the U.S. West. In 130 full-color glossy pages, the history and present state of the region are well represented in choice words by noted award-winning author Rod Miller, and in stunning photography by a number of impressive photographers. Consider rich images of petroglyphs, ranchers, leaping lizards, and sheep camps; of full-spread, drop-jaw vistas of never-ending mountain ranges; of cowgirls and cowboys working their family ranches and raising future generations of children and cattle; of battling mustangs and delicate desert flowers tougher than jungle vines; of sand dunes and raw mountaintops, and so much more. The book reminds us that the notion of the American West is more than a collection of states, or a fuzzy-edged region somewhere beyond the Mississippi. It is also more than the jumble of Hollywood-tinged myths, half-truths, and Eastern assumptions the world has been fed for centuries. The tenacity and mettle of westward-headed emigrants is captured in an 1891 quote from an Oregon pioneer woman: “Do I regret coming? No, far from it. I would not go back for the world. I am contented and happy, notwithstanding I sometimes get very hungry and weary.” The woman’s modern counterpart, a handsome 21st-century ranch woman, is captured in Go West in portrait form, tired but smiling. One gets the feeling that she, too would not trade her lot for all the world. Go West not only gives readers a deep and powerful sense of its subject matter, but it illuminates and educates its readers, too. And it does so not with hoopla, but with an understated presence worthy of its subject, the West. And for that, it’s all the more lasting and memorable. 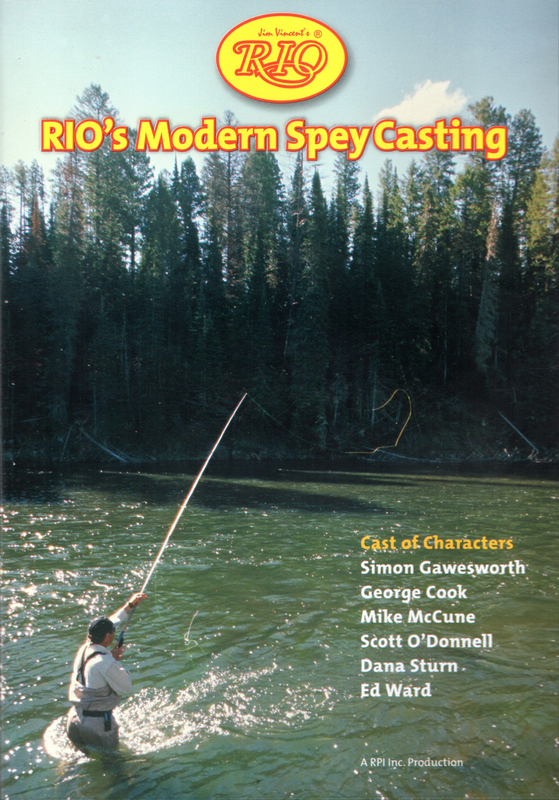 RIO’s Modern Spey Casting DVD (RIO Products; $49.95) is a brand-new ultimate collection of RIO’s instructional spey-casting videos. Indeed, RIO calls the new three-DVD set “the most comprehensive film on spey casting techniques ever made.” And considering it’s three discs totaling 240 minutes — four hours! — of in-depth, non-stop spey-casting advice from world leaders in spey techniques, I have to agree. No dry fare here, multiple camera angles are employed, plus aerial and underwater, as well as on-screen graphics to illustrate angle of cast, slowed down to show just what that big old loop of line is doing. All the instructors are noted spey experts, including George Cook, Simon Gawesworth, Mike McCune, Scott O’Donnell, Dana Sturn, and Ed Ward. They are top-notch and convey a passion for their chosen craft with in-depth construction and commentary. For such intensive training on a relatively esoteric topic, this is money well spent. 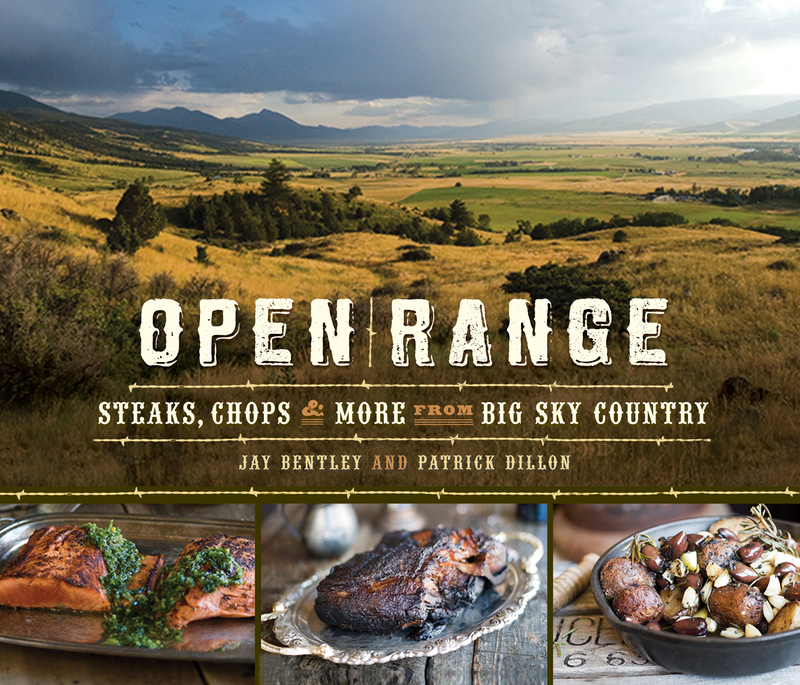 Open Range: Steaks, Chops & More from Big Sky Country (Running Press; $32.50) is an honorable addition to the growing number of regional cookbooks. Montana chef Jay Bentley and writer Patrick Dillon serve up a collection of recipes grounded in place with no-nonsense practicality, innovation and ingredients. 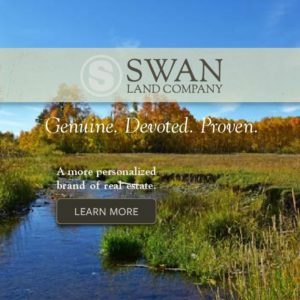 Both sportsmen, the pair rely on experiences afield pheasant hunting, trout stalking and sharing the spread with real people. Specifically, Bentley, whose training ranges from apprenticeship in New Orleans, stints in French kitchens, owner of the original Continental Divide in Ennis, and as the owner of The Mint Bar and Cafe in Belgrade, marinates his no-frills style with a dead-on palate. You’ll find all those influences here, where the open flame is ever present to add just the right amount of char to a dish and where the word authentic isn’t a misnomer. This is real food for real folks. Think meatloaf like Mom’s; Slow-Cooked Pork Shoulder with Pomegranate Molasses Rub; Wild Duck and Sausage Gumbo; or Backyard Blackened New York Steaks. Albeit a meat eater’s go-to guide (there is a chapter dedicated just to bison), Bentley and Dillon don’t neglect the lighter fare — Salmon Carpaccio; Grilled Artichokes; Curried Cole Slaw; and Campfire Trout. Punctuated by food photography and scenics from Montana-native, Lynn Donaldson, to showcase the hearty fare, this cookbook will surely become a standard in any food-lover’s kitchen. Wow, Whitefish Review (Whitefish Review; $12) just keeps getting better. The new issue, #12 (it comes out twice yearly), is edited by noted (understatement!) 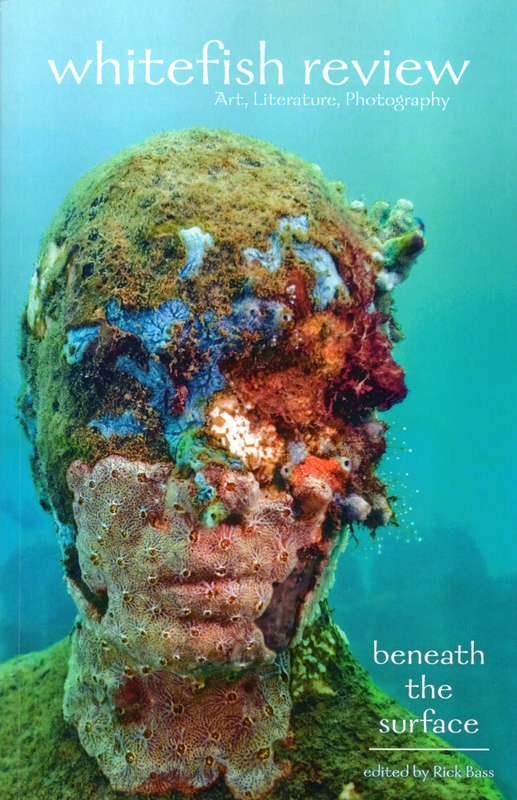 Montana writer Rick Bass, and contains more of what we’ve come to expect from the high-quality publication: literature, art, photography, interviews, essays, poems, fiction, ruminations on the artwork, even a full-color section. Get it!